← Quick Fix: Transmogged Essentials 2012 no UR1? This is an issue that has caught me out once or twice in my testing and general messing about with Essentials over the last age, and also someone in the forum just posted a question along these lines so i thought it worth a post. I have been struggling with a bit of ‘writers block’* recently and this seemed to be something easy to get back into blogging again with. * I do not consider myself to be a writer, merely a lazy admin who had nothing interesting to say. 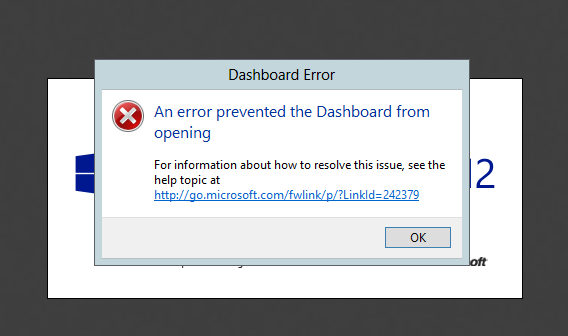 An error prevented the Dashboard from opening.. If you go to that link you get a TechNet wiki article about SBS 2011 Essentials, and it doesn’t answer this particular issue other than to give some guidance on general issues with certificates. Thankfully the fix for this is simple. 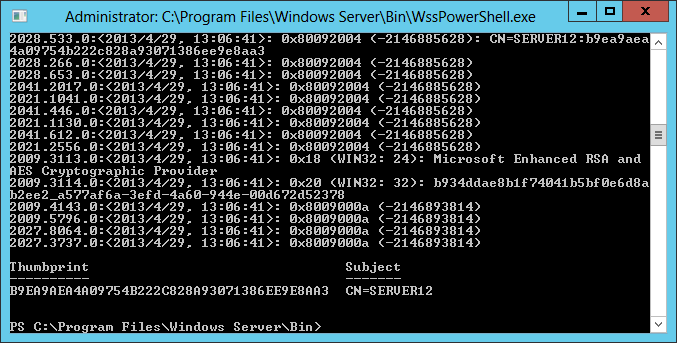 Go to c:\Program Files\Windows Server\Bin and run the WSSPowerShell.exe file. This will reissue a Certificate to the local computer and also repair the registry settings tied to that certificate. The entries relating to the dashboard error above, can be found under IDENTITY. In this case the LocalMachineCert value is that of the thumbprint of the certificate the Dashboard expects to be part of the local machine store in order for it to start. If that cert is missing or damaged the Dashboard will fail. Running the above PowerShell cmdlet will request a new certificate and update this registry key with the new thumbprint ID. You can see the thumbprint value here is updated. When attempting to open the Dashboard for the first time after this, you may see a warning about Addins that may have caused the problem. You can click on Continue here to get to the Dashboard. Pure AWESOME post. Life-saver, when everyone else says, “Re-install!” Worked perfect on WHS 2011…. Yeah, you should not have done that! I guess you also removed the Certificate Services? This was amazing! Thank you so much for taking the time and posting this! I just wish that Google had indexed it higher. It took me forever to find this article, but once I did it totally saved my bacon! So no news on this ? Do you have any more info on your setup? Can you run the Essentials Tester on there and see if identifies any issues? Unable to fully Test Certificate Authority on this Operating System. Review your results, items in red should be investigated. Is that the full result? 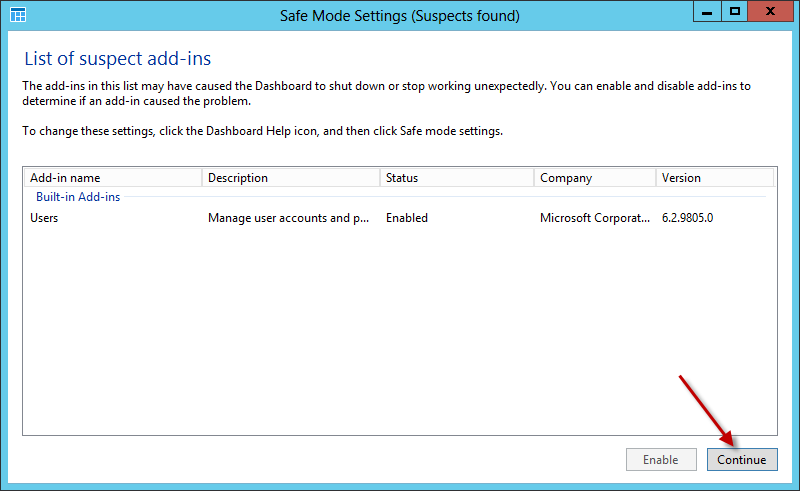 HKLM:\Software\Microsoft\Windows Server\Identity – do you have a value there? OK if you go into an MMC, add the certificates snapin for the local machine. 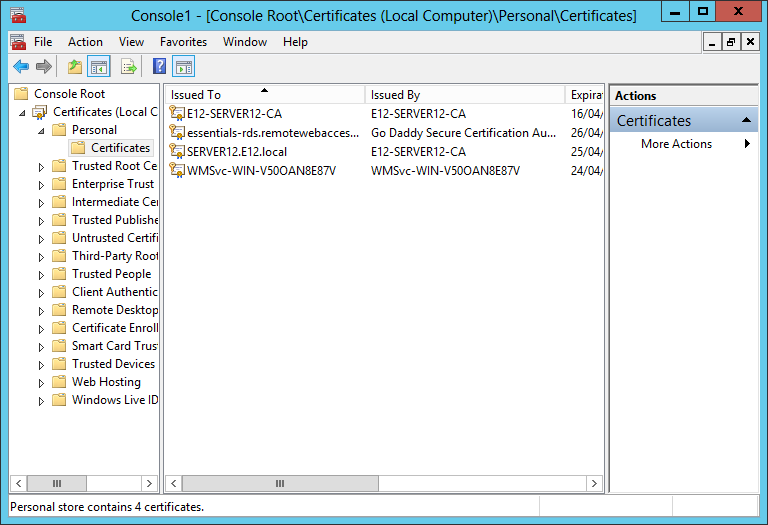 In the personal store there should be a certificate for the Server, it will be just shown with the server hostname. Look for the WssPowerShell.exe file and run it. 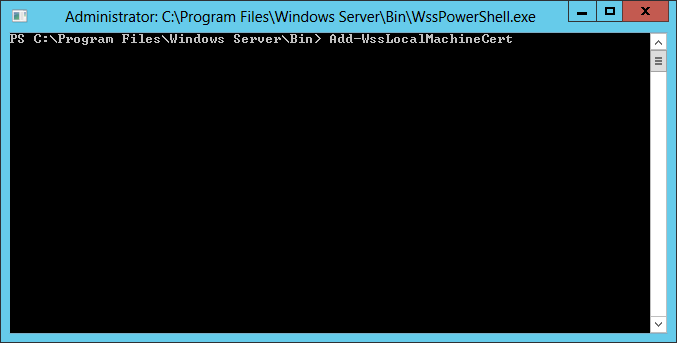 and after i run WssPowerShell.exr should i run the command from the tutorial Add-WssLocalMachineCert ? Do you have any errors or warnings in the event logs that correspond to the same time? Any issues with the services test (3) on the essentials tester? most of the services are down, because i cannot start WSS Service Provider Registry i get Error 1067 when i try it and for the rest i get 1068 which is dependencies error. 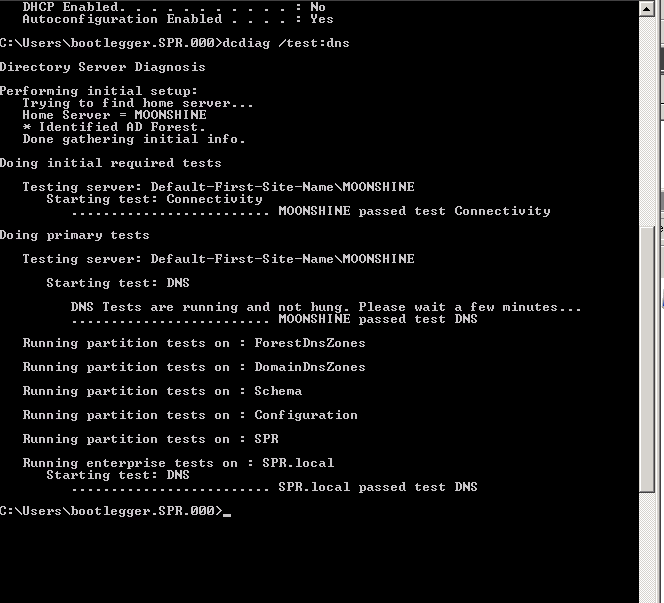 can you post an ipconfig /all from the server? you shouldn’t have 8.8.8.8 as a dns server. 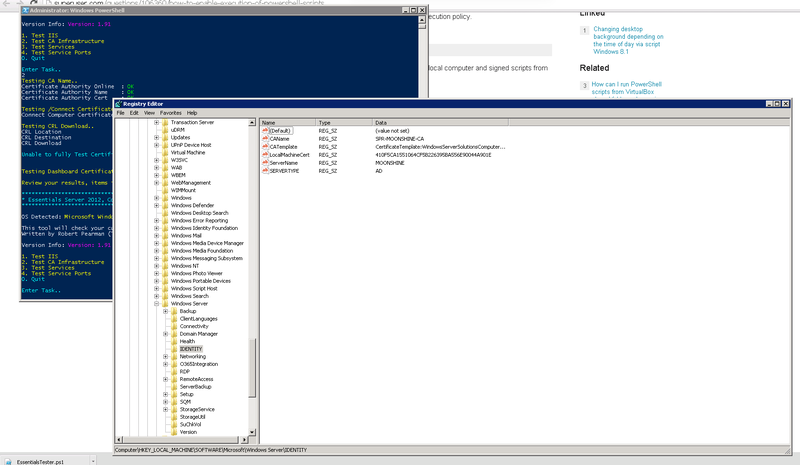 ok can you post the error in the event logs from when you try to start the WSS Service Provider Registry. 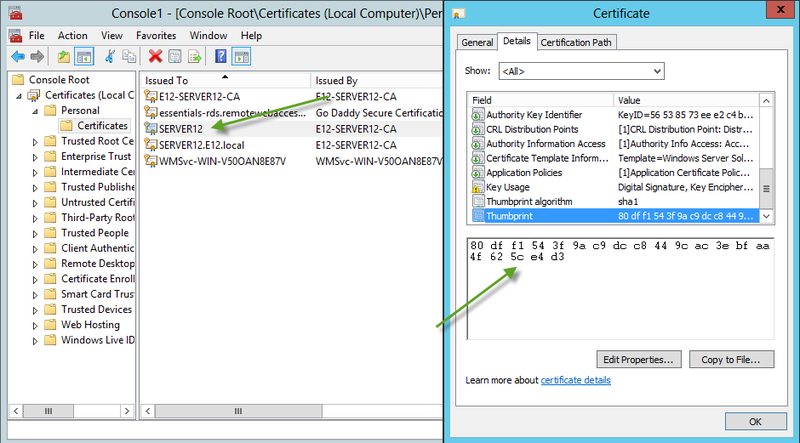 Active Directory Certificate Services denied request 9536 because Element not found. 0x80070490 (WIN32: 1168). The request was for CN=MOONSHINE. Additional information: Denied by Policy Module 0x80070490, Active Directory Certificate Services could not find required Active Directory information. There isnt errors or warnings in the system log with source AD Certificate Services. We are not looking for that source. 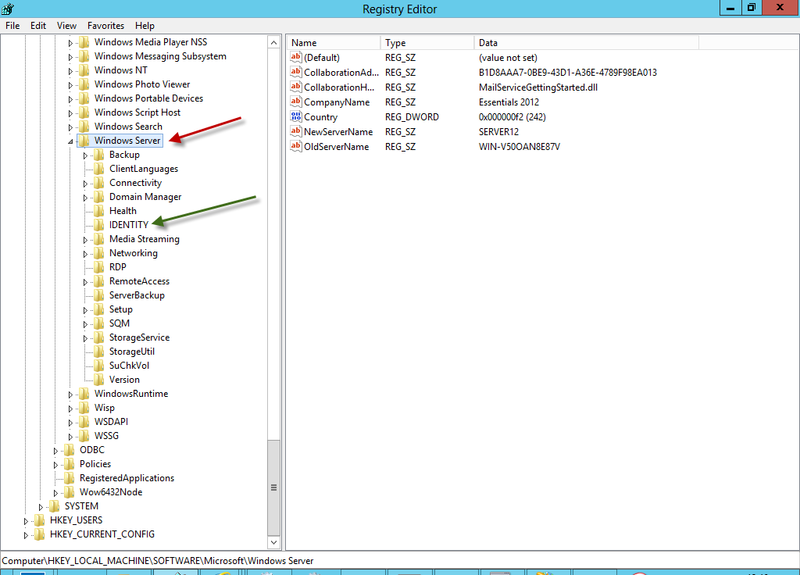 You need to find out why the WSS Provider Registry service wont start, just look for _any_ warnings or errors. 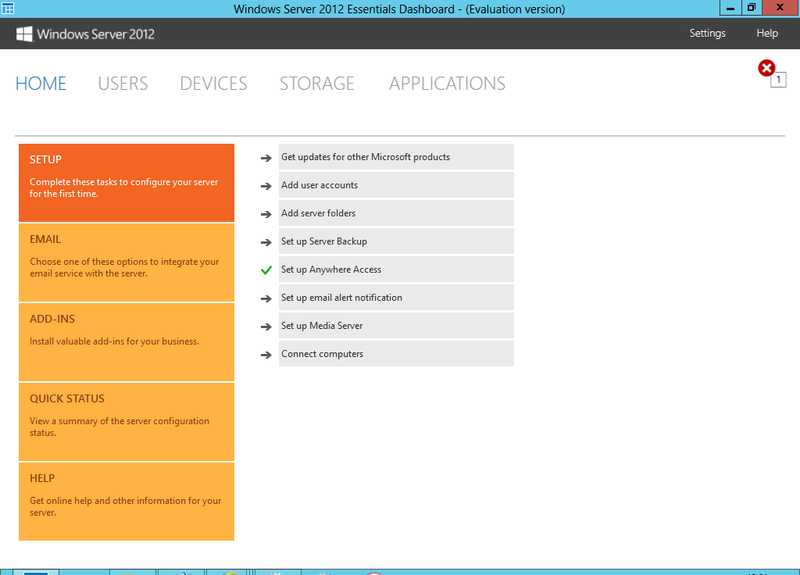 when i restart the service i get this The Windows Server Service Provider Registry service terminated unexpectedly. It has done this 1 time(s). The following corrective action will be taken in 60000 milliseconds: Restart the service. You need to check the logs in c:\programData\Microsoft\Windows Server\Logs – the sharedService logs are probably a good place to start, but anything time stamed near a service start attempt will work. However I suspect the issue is relating to your missing cert – so you are trapped in a bit of a loop. add-wsslocalmachinecert : The user name or password is incorrect. On 2016 you don’t need to import the module, so the exe is not required. Can you send a screen shot of what you have done? I made sure that the registry key matched the local machine cert.